If you’ve never had Mankato’s Organ Grinder Amber Ale, you should probably put it near the top of your “must try” lists. If you are a fan of Mankato Brewery you may have been a bit confused the last time you went looking for your favorite six packs of Mankato bottles. That’s because beginning last month, they have transitioned over from twelve ounce bottles to twelve ounce cans with new artwork that is sure to “POP” right out of the cooler doors. 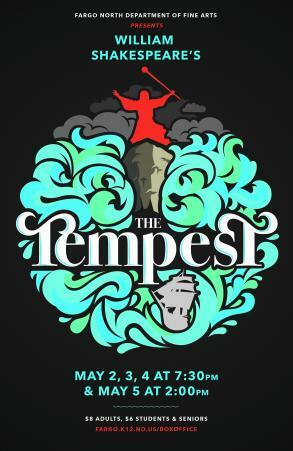 Along with a complete rebranding of their packages, they have changed their lineup of flagship and seasonal offerings, including the addition of a twelve pack sample package. One of the first new Mankato beers to hit our local market was their Hopbiscus IPA, a flowery slightly tart IPA that, while it seems a bit confused, is both easy drinking and refreshing. Fans of big bold hops might be a bit disappointed in the way the hops disappear in a sea of floral and fruity flavors and aromas but those who enjoy slightly sour beers will be more than pleased. This 6.1%, 40 IBU oddball IPA is available in brightly colored cans that feature a new comic book/pop art theme which Mankato will be carrying throughout their packages. These very cool looking packages will all have short descriptions to help the consumer gauge what to expect when they crack open a can and pour it into a glass. The Hopbiscus, while branded as “Hoppy Tart”, to me doesn’t really present either overwhelmingly well but delivers a hefty amount of floral flavor and aroma. I found the nose astounding and the beer, while not something I would personally reach for everyday, could be extremely refreshing on an especially warm day. It is a seasonal offering and the next truck of twelve pack samplers from the brewery will contain their fall seasonal, a nut brown ale. 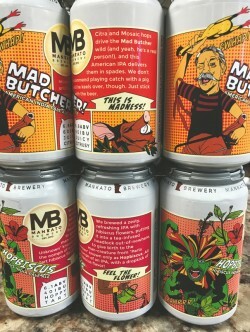 The Mad Butcher IPA is one of Mankato’s best rated brews and the two word description on the cans is really on point. “Juicy” and “Citrusy” this American style IPA is loaded up with Citra and Mosaic hops to deliver an abundance of fruit aromas and swelling with balanced complexity. A solid backbone of bready malts is layered with more than just hints of grapefruit, mango, pineapple, apricot, orange zest, and more. Slightly dry and bitter but definitely in balance, this IPA kept me coming back for more until my glass was gone. The previously macabre depiction of a butcher with a blood stained knife and apron is replaced on the cans by a very campy, wildly crazy looking butcher cutting into a slab of meat with a saw while hoisting up a rubber chicken. If you’ve never had Mankato’s Organ Grinder Amber Ale, you should probably put it near the top of your “must try” lists. It is a very solid example of how approachable an Amber Ale can be. Slightly sweet and fully loaded with malts that deliver caramel and candied sugar flavors, this American style Amber Ale takes direct inspiration from traditional German ambers and puts the noble hops in the background. This beer looks incredible in the glass, with its deep amber hue and the nose is full of sweet malty goodness that follows through the entire tasting but is balanced well with just a tiny touch of hops that brightens the beer in just the right way. Add this to your list of beers to offer those who are just starting to inch their way into the world of craft beer. Another critically acclaimed brew rounds out the twelve pack sampler lineup and is brewed as a tribute to Mankato’s brew history. Kato Lager is a traditional Munich style Helles Lager and is based off a recipe that was once brewed by the old Mankato Brewing Company which shut down operations in 1967. This clear golden lager delivers malt, grain and fresh bread in the nose and a similar bready flavor in the glass. Very smooth and slightly sweet, this expertly crafted Helles lager goes down nice and easy any day of the year. I, for one, am very excited this will now be available in cans and tastes great right out of the can. At 5% ABV, it is considered a “session” beer and is certainly worth considering adding to your next sampling session.